It will be “Summer in 3, 2, FUN”! 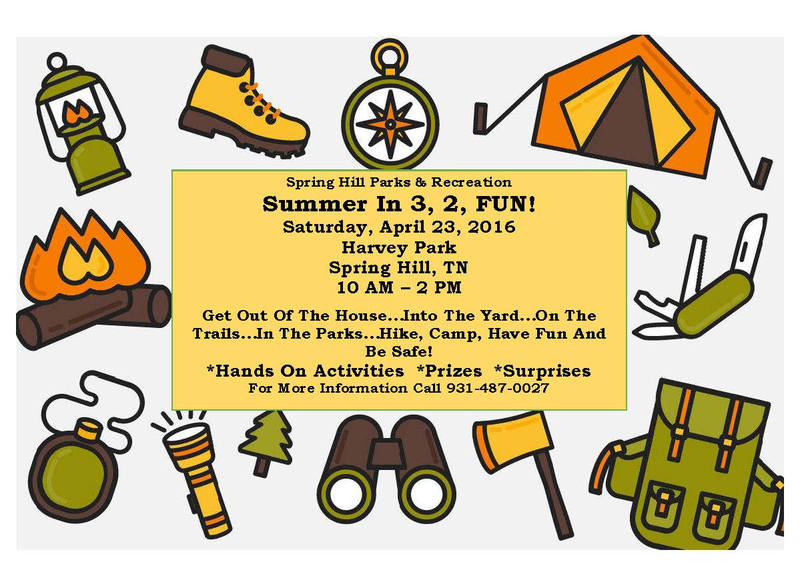 Let's get out of the house and into the yard; on the trail; in the parks to hike, camp & play at this Spring Hill Parks & Rec. event on April 23. First 50 families receive a “10 Essentials Kit” for hiking & camping.